Competitive Pricing + Supplies & Service Bundles = Less Stress on YOU! We offer FREE SHIPPING on all USA orders over $50.00 and 100% Guarantee on our Compatible Cartridges that produce clean, clear, crisp images every time an are an exceptional alternative to the higher priced OEM products. 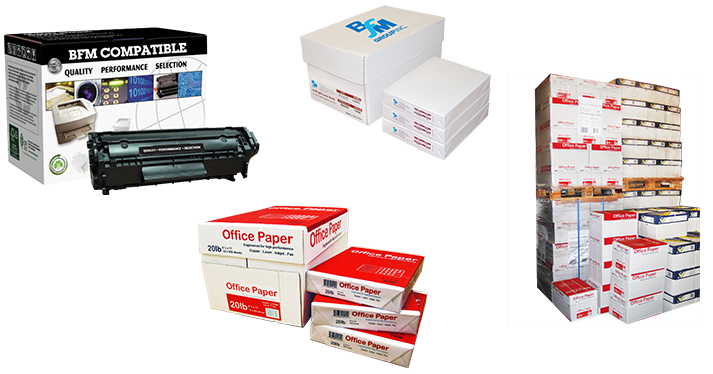 Our technicians are experts on most laser printers, faxes, and copiers, including HP and Lexmark. Our maintenance customers receive priority response service; 4 to 5 hours. If you purchase your toner cartridges from us, you receive no labor or travel time charges on all repairs. Your agreement requires you only pay for parts needed for repair. Please supply us with your list of ink and toner you buy by equipment model number. We will get you a cost savings proposal. *Maintenance Kits are classified as supply parts. **Available in St. Louis Metro ONLY. BFM is not responsible for liquid spills or power surges or outages.